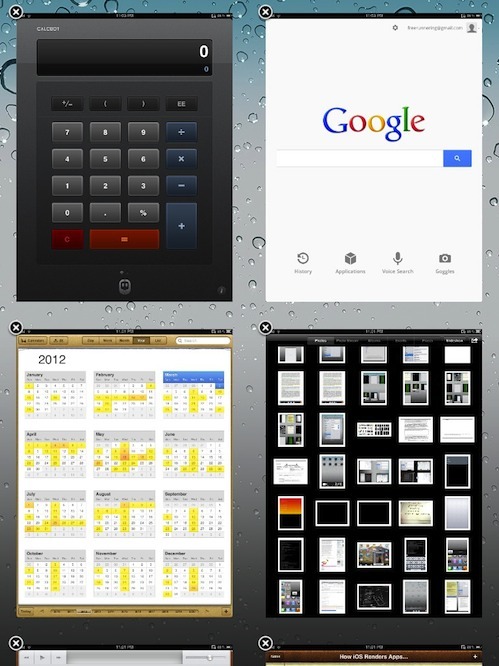 CardSwitcher is a cool replacement multitasking UI for iOS that allows you to smoothly switch between running applications. 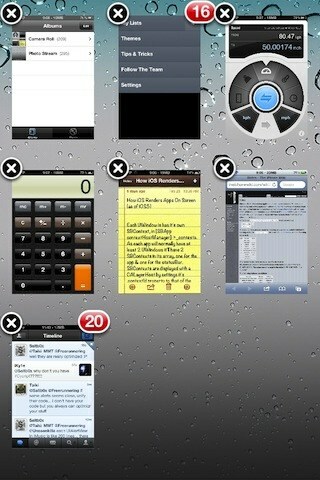 CardSwitcher 2.0 is a complete rewrite optimized for iOS 5 and designed to be as smooth as possible. 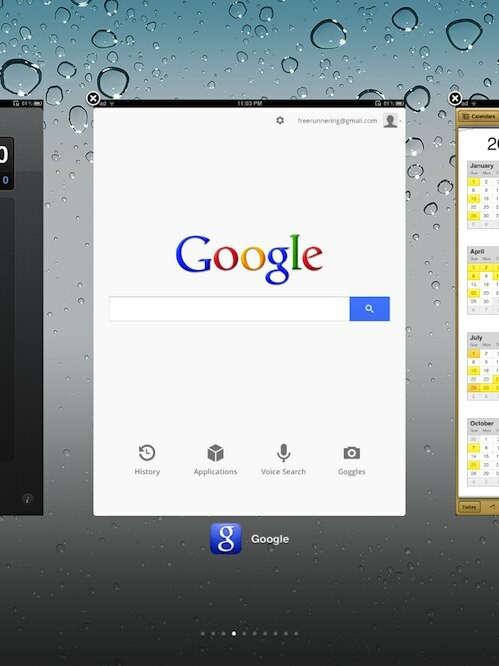 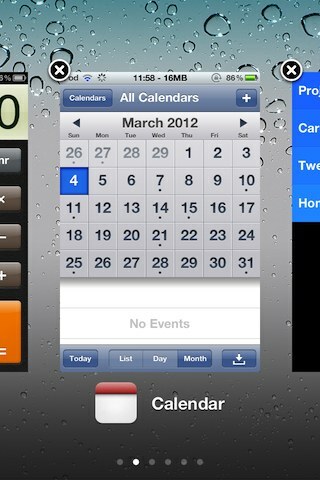 Rather then static screenshots CardSwitcher will show a live view of any running applications when possible. 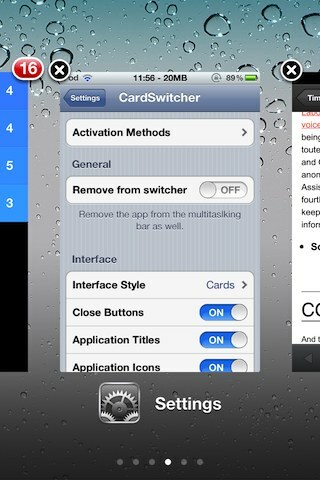 CardSwitcher was developed by Kyle Howells and is available on the Cydia Store for $1.99 from the BigBoss repo.